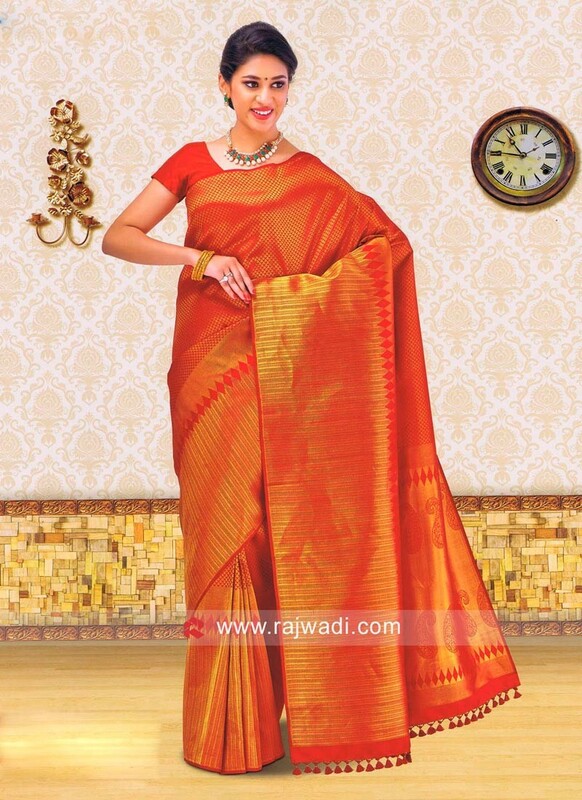 A Dark Red Kancheepuram Silk Saree comes with zari weaved blouse piece. 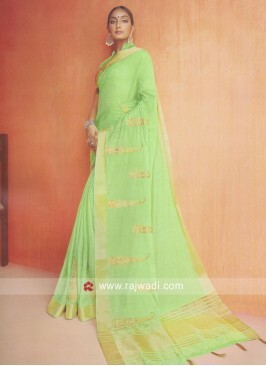 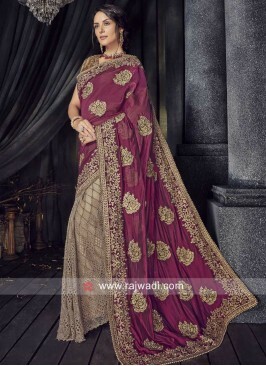 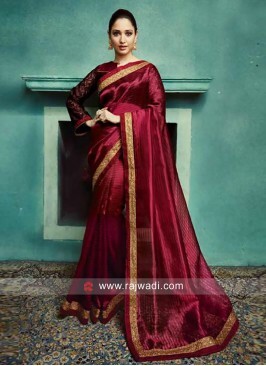 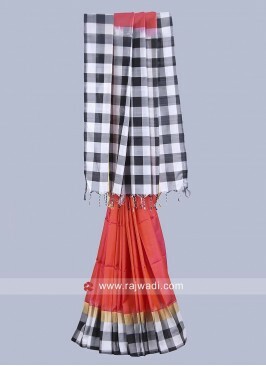 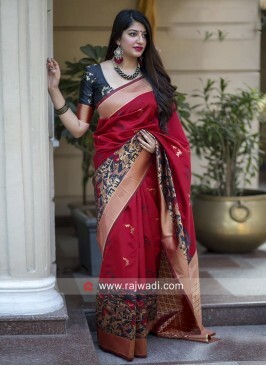 This weaving saree is perfect choice for wedding reception. 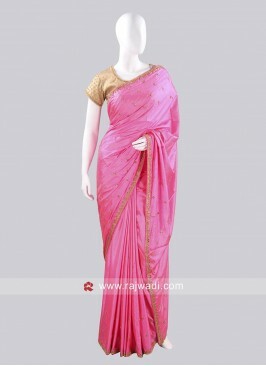 Taffeta Silk Pink Saree w..
Bandhani Red and Green Sa..
Mustard Yellow Art Silk W..
Net and Chiffon Silk Half..
Cotton Silk Saree in Pist..